A unique antique engraved diamond engagement ring! 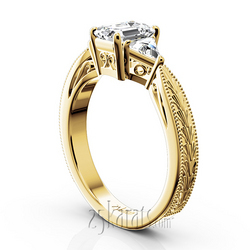 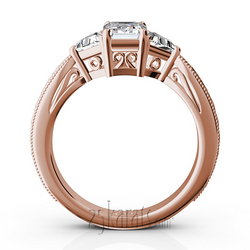 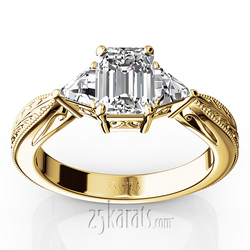 This classic piece of jewelry is set with two trillion shape side stones totaling 0.40ct. tw. 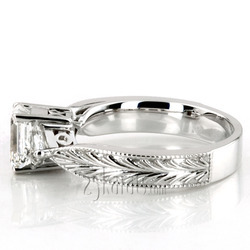 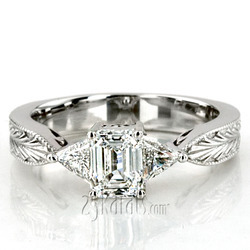 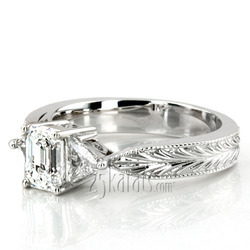 The ring is created just for your center stone for perfect setting. 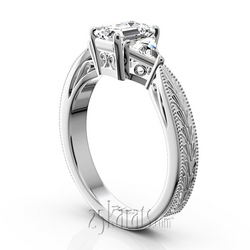 This setting can be finished in two tone upon request. Available in 14k, 18k, platinum and palladium. Carat Weight / Size (each): 0.20 ct. / 4x4x4 mm.